NOTE: Images show models from overseas markets. 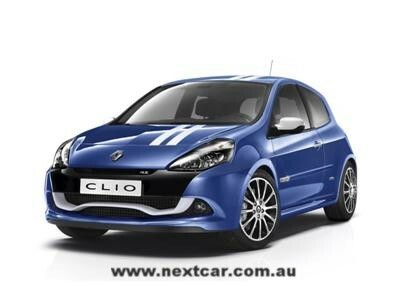 Renault has announced a major transformation of its Australian line-up. "It’s time to change" has never signalled a clearer statement of intent than it will over the coming weeks with the progressive release of new models. Five all-new models and one limited edition model will be launched. Starting with the extraordinary value of Renault Mégane in mid-September, and ending with the October launch of Mégane RenaultSport 250. Renault will now be able to offer a comprehensive range to meet the needs of the Australian market, with a strong focus on safety, style and build quality. The new range will also set higher standards in terms of customer benefits as far as equipment is concerned. Yet, this new level of quality will have one uniquely compelling feature – the price. The aim is not to simply meet customer’s needs but to delight them, meeting their growing expectations for innovative and practical features from entry level products. To this end, Renault in Australia has made a concerted effort to get closer to its customers, and understand their expectations, by using focus groups, public events and increasing it’s interaction with Renault car clubs and owner forums. The New Renault Mégane hatch is the first of the exciting new product range to be launched and offers a new benchmark in European value. The new Mégane hatch delivers remarkable on-road ability, outstanding comfort and a highly practical driving environment, plus a host of high-end equipment and features. Starting at just $22,990* (Manufacturer’s List Price excluding on-road costs), Renault is confident that the new Mégane hatch will establish itself as a segment leader for value. 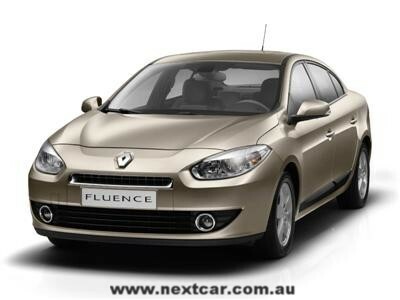 The new Renault Fluence sedan will follow. With its spacious cabin, comfort and comprehensive standard features list, it redefines travel in the small sedan segment. 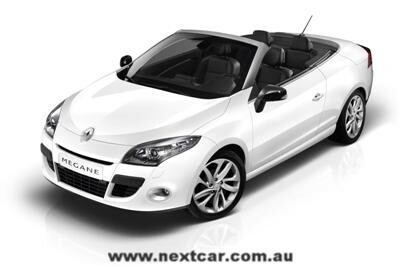 New Renault Mégane Coupé-Cabriolet will bring French flair to this very fashion conscious segment. It features the Renault innovative glass roof providing a unique and desirable vehicle, which is sometimes a coupé, always a cabriolet. The Mégane Range will be complete; with the launch of the car that has been keenly anticipated by motor enthusiasts and current RenaultSport owners alike. The internationally acclaimed Mégane RenaultSport 250 Cup and Cup Trophée demonstrates what happens when passion and performance meet. 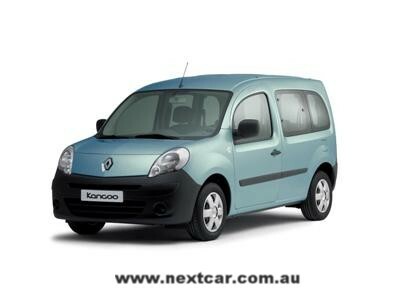 Also being launched during this period is a favourite in the Renault range – the Kangoo. Having undergone a ground up redesign, the new Kangoo is a bigger, better and smarter van. The Gordini name returns with the launch of the Clio RenaultSport Gordini Limited Edition with its outstanding combination of chassis dynamics and performance, this car epitomises all which made the Gordini name legendary. The new Renault Mégane Hatch, starting at just $22,990* (Manufacturers List Price excluding on-road costs), signals Renault’s belief that there is no better time to change into a European car. It marks the beginning of the renewal of Renault’s line-up, offering an outstanding opportunity to experience all that Renault encapsulates at a remarkably low price. It offers outstanding on-road ability, benchmark comfort and a highly practical driving environment, as well as an abundance of high-end equipment and features. 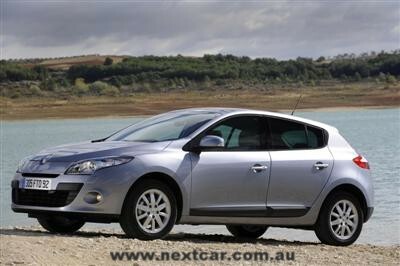 And with a price of just $22,990* (MLP), Renault believes it will be the segment leader for value. Design of the new Mégane family stems from a bid to produce a range of eye catching cars that take their inspiration from the world of sport and a passion for cars. The new Megane Hatch stands out as appealing and reassuring for a car driven on a day to day basis. In addition to the robustness promised by it’s styling, new Megane Hatch features a high standard of body panel fit-and-finish with only quality materials being chosen for production. New Mégane Hatch also benefits from the progress that has been achieved across the Renault range in terms of reliability and durability. Automatic headlights and windscreen wipers. The new Renault Mégane Hatch lives up to the expectation of a Renault chassis and has been engineered to improve on the road handling and ride when compared to the feel of its predecessor. In particular, work has been done to improve both the precision and feedback from the steering. A further area of focus was reducing the body roll during corning while maintaining a compliant and comfortable ride. The socially responsible new Renault Mégane is 95% end-of-life recoverable by weight, while almost 12% of the plastic it employs (an average 22 kg) is sourced from recycling. In addition to heralding a profound shift in Renault’s approach to styling, the Mégane Coupé Concept show car, unveiled at the 2008 Geneva Motor Show, previewed the launch of a new family of vehicles with genuine character. The elegant new Megane hatch has a distinctive 'personality' and aims to appeal to the motoring public. The new Megane hatch is designed to win over a particularly exacting clientele and combines styling cues from both the world of sport and the passion associated with cars. From a very early stage, Renault's Design Department worked hand in hand with the project engineers to incorporate sporty styling and robustness into the new Megane’s 'genetic' make-up and is exuded by the new model’s generously dimensioned body panels and sweeping curves. The result is a family hatchback of 4,295 mm in length with an unmistakably dynamic stance thanks particularly to its short front and rear overhangs its wheelbase of 2,640 mm, its steeply-raked roofline and wide front and rear tracks; 28 mm and 33 mm wider than its predecessor. Its assertive 'personality' is immediately apparent through its racy front-end looks which feature crease lines that sweep down from the windscreen pillars and across the bonnet. Meanwhile, the streamlined forms of the headlights extend the fluid contours of the air intakes to reinforce new Mégane Hatch’s determined expression and piercing gaze. The strong character of the new Renault Megane hatch is also apparent at the rear where the two-piece light clusters not only continue the feature line but also facilitate easy access to the boot. The Latin influence of new Megane hatch’s elegant curves is especially visible when viewed in profile. The proportions of its flanks are both harmonious and dynamic and irresistibly suggest forward movement, as well as genuine personality and the promise of real driving enjoyment. In addition to the robustness promised by its styling, the new Renault Mégane hatch features a high standard of body panel fit-and-finish, whilst only quality materials have been chosen for its production. It also benefits from the progress which has been achieved right across the Renault range in terms of reliability and durability. The new Megane hatch immediately exudes an impression of robustness and quality. Seen from the side, the feature line extends rearward from the slightly prominent front guards to emphasise the car’s solid 'shoulders'. The wide front and rear tracks ensure that the new Megane hatch sits squarely on the road. The proportion, form of the 'waistline' and large doors express a feeling of protection. Coupled with the generous proportions of the bodywork, a blend of flowing lines also optimises the visual effect produced by the light reflecting off the body. Particular attention has been paid to reducing the shut lines between the different body panels (e.g. windscreen pillars, fuel filler flap) and the front and rear bumpers which discreetly incorporate the parking proximity sensors. The new Renault Megane’s roofline also benefits from specific treatment thanks to the use of laser brazing which eliminates the need for roof trimming. The interior, meanwhile, features a driving environment based on fluid, uncluttered forms. The impression that the dashboard is suspended is reinforced by the taut horizontal lines that emphasise the curve of the decorative trim. All the controls have been carefully positioned and fall easily to hand, either close to the steering wheel or on the centre console; with a view to freeing up as much space as possible for an even roomier cabin. Great care has also gone into the quality and fit-and-finish of the materials employed, at all equipment levels. The dashboard benefits from a finish which is not only soft to the touch, but also resistant to the ageing effects of sunlight. The windscreen wipers are aesthetically concealed beneath the bonnet line, a choice which favours acoustic and aerodynamic performance. The interior trim has been carefully thought through to produce a relaxing, light, elegant trim that exudes travelling comfort. The cabin of the hatch features an innovative dashboard which features an analogue rev-counter alongside a digital speedometer which is not only clear and easy to read, but also gives drivers greater visual control over the speed of their vehicle. The centrally-positioned speedometer also incorporates the cruise control/speed limiter display, fuel gauge, temperature display and ‘door open’ warning lights. One particular Renault innovation is the cruise control/speed limiter which comes with a new interface. When this function is activated, the speed selected by the driver is displayed at the top of the speedometer which itself is ringed by a sequence of lights that take the form of an arc around the central display. In speed limiter mode, the red segment lights up as the speed increases, while the selected speed flashes if exceeded. The use of colours is not only intuitive and functional; it also represents a gain in terms of response time. The form of the seats and the materials chosen enable long distances to be covered in total comfort. The front seat cushion and the thick foam used for the production ensure a particularly comfortable ride for the driver and front passenger. The intuitive seat-adjustment controls fall easily to hand and it takes no time at all for drivers to modify the seatback and headrest angles, adjust the lumbar support, or even raise or lower the seat height through 70 mm of travel, a best in class performance. The new Megane hatch also comes with a height-and reach-adjustable steering wheel (reach adjustable by up to 45 mm). Special care has been taken with the position of the pedals, the brake pedal has been offset by an additional 10 mm from the accelerator pedal. It is also 30 mm wider to facilitate movement of the right foot from one to the other when braking. Travelling comfort is also further heightened by the particularly roomy cabin, which boasts best in class front elbow room of 1,476 mm. The new Renault Mégane hatch also boasts a long list of interior features. It carries over the practical under-floor storage solutions first seen on Mégane II, whilst the front door bins can hold a one-litre bottle. The centre console stowage incorporates space underneath the armrest and rear passengers can profit from an open, practical, easily accessible cubby. The new Renault Megane hatch also stands out by the amount of luggage it can hold. The hatchback’s boot volume of 368 litres figures amongst the best in the segment. Special attention has been also paid to acoustic comfort. The design and sealing quality of the doors and tailgate, the fitment of inserts inside the hollow sections of body components, one piece cowl sound proofing and foam dashboard structure all contribute to minimising the transmission of noise into the cabin. In response to customer demand, Renault has taken particular care to ensure that the new Megane hatch’s driving environment is practical with controls that are both ergonomically positioned and intuitive. Both the Dynamique and Privilege come with a long list of technological equipment and features traditionally associated with the next segment up and aimed at taking the strain out of driving as well as enhancing travelling comfort. The new Megane hatch is equipped with hands-free Renault Smart Card entry and ignition, while the same card remotely locks the car when the driver walks away from the vehicle. The doors can also be locked automatically by pressing on the button situated on the driver’s side door handle. They unlock when the hand of the person carrying the card approaches one of the door handles or activates the boot latch. Meanwhile, the remote lighting function enables drivers to locate their vehicle thanks to a specific button on the card which switches on the lights. For optimal thermal comfort, the new Megane hatch Dynamique is equipped with air-conditioning that includes a pollen filter. In the Megane Privilege this is upgraded to automatic dual-zone climate control system. This system enables the driver and front passenger to choose the temperature they prefer independently. It also permits them to select the fan speed thanks to the ‘Soft-Auto- Fast’ function. In ‘Auto’ mode, the system automatically optimises the temperature, sound level and start-up speed. The ‘Soft’ mode favours a quieter ambience, notably for the driver and front passenger, while the ‘Fast’ mode responds swiftly and efficiently to adjust the temperature of the entire cabin. Standard on Mégane Privilege and optional on Dynamique Hatch is a GPS navigation systems: Carminat Bluetooth® CD (2D navigation with 5.8-inch colour display). The Carminat Bluetooth® CD incorporates GPS navigation, a radio-CD with MP3 playback and Bluetooth® hands-free telephone controls. The joystick control is located in the middle of the centre console and requires next to no time at all to become fully proficient in its use. New for the Mégane Hatch, the menu can be customised as a function of the driver's preferences to activate, deactivate or adjust the parameters that govern certain functions, including the language employed and even the activation of the automatic headlamp sensor. From customer feedback, Renault has identified two priorities for its new range of audio systems: high sound quality and connectivity. The new Megane Dynamique Hatch is available with the ‘Classic’ 60W radio with single CD player, MP3 playback and RCA socket. Connectivity also takes pride of place on the new Megane hatch thanks to the standard RCA socket located on the centre console which enables occupants to enjoy personal music collections stored on portable players. The Privilege has a multi media connection box which enables the driver to scroll through the functions of portable players (USB key, iPod®, etc.) using the car's own steering wheel-mounted finger-tip remote controls, with menus plus play lists shown remotely on the dashboard display. The new Megane hatch’s on-road performance and driving enjoyment lives up to its looks, thanks to its precise, responsive and predictable handling, which permits a dynamic yet totally reassuring driving style. Renault Megane’s front suspension features MacPherson-type struts with rectangular lower arms and a 22 mm-diameter anti-roll bar, while the rear incorporates a programmed-deflection flexible beam. The combination of springs calibrated at 19.5 mm/100DaN at the front and 20.2 mm/100DaN at the rear and work on damping has enhanced the vertical suspension performance and reduced body roll. The Megane’s specific roll angle – which defines the tilt of the body as it corners, and therefore its ability to corner ‘flat’ – is 0.42° for lateral acceleration of 1m/s². The European segment average is 0.45°. Renault Mégane also benefits from a particularly effective braking system, with large discs that provide both outstanding stopping power and durability. Thanks to 280 mm-diameter vented front discs and 260 mm rear discs, it comes to a halt from 100 km/h after repeated braking in just 39 metres. Renault Megane has electric power steering that combines precise driver feedback with swift, accurate response to instructions from the wheel. A broader dynamic servo motor bandwidth (300Hz, compared with 70Hz in the case of Mégane II). The new Renault Megane hatch is available in a 2.0 litre 16V petrol engine which delivers a peak power of 103 KW at 6,000 rpm (CVT) and maximum torque of 195 Nm at 3,750 rpm. It drives through either a 6 speed manual or CVT gearbox. The CVT gives the ease of operation of a traditional manual gearbox, but as it can optimise the drive ratio it delivers better than manual economy. Renault has naturally profited from its engineering expertise and from the latest research carried out by LAB (Renault and PSA Group joint Laboratory of Accident Analysis, Biomechanical and Human Behaviour) to develop a comprehensive range of safety equipment designed to perform in real-life driving situations. The new Mégane Hatch has benefit from Renault’s extensive expertise in the realm of active and passive safety and has been designed for exemplary performance on both fronts. The new Mégane Hatch features a long list of features aimed at helping drivers anticipate risk situations. This equipment includes automatic headlight and windscreen wiper activation and a cruise control/speed limiter. Standard active safety features featured on the new Mégane hatch include ESP, ABS, EBD and Emergency Brake Assist. On the passive safety front, the programmed deformation of the structure of the new Mégane hatch has been engineered to absorb impact energy with a view to protecting the cabin and therefore occupants. The materials employed – including high, very high and very, very high elastic limit steels – have been selected to absorb and dissipate as much kinetic energy as possible. Controlled deformation ensures that occupants are subjected to lower deceleration forces and this, coupled with the Renault System for Restraint and Protection, guarantees an extremely high level of protection. The Renault System for Restraint and Protection takes into account both impact force and the build of occupants. It comprises simple pretensioner (which tighten the seatbelt against thorax to restrict forward movement of the body), load limiters (which reduce the pressure applied by the belt to the thorax) and front airbags (which deploy by just the right amount to absorb impact energy). The package also optimises protection against the phenomenon known as 'submarining' whereby the pelvis has a tendency to slide beneath the seat belt’s lap strap and which can produce serious abdominal lesions in a collision. The front-end of the new Megane hatch have also benefited from work aimed at improving pedestrian impact protection. The rigidity and thickness of the bumper have been modified to protect the lower limbs by absorbing energy at tibia and knee height. Careful attention was also paid to the energy absorption capacity of the bonnet and surrounding structure (guards, opening mechanism and bonnet lining). 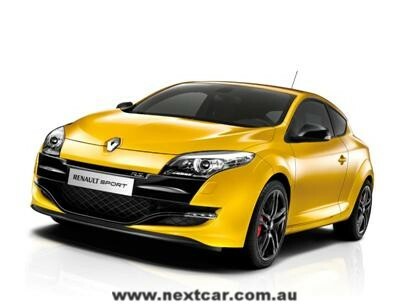 The new Renault Megane hatch brings Renault to the forefront of the competitive small car market in Australia. With its combination of keen pricing, comprehensive standard features and European style and dynamics it will shake up this competitive market segment. NOTE: Manufacturer's List Price excludes dealer delivery fees and the various statutory charges (commonly known as on-road costs). Additionally, prices are subject to change without notice.